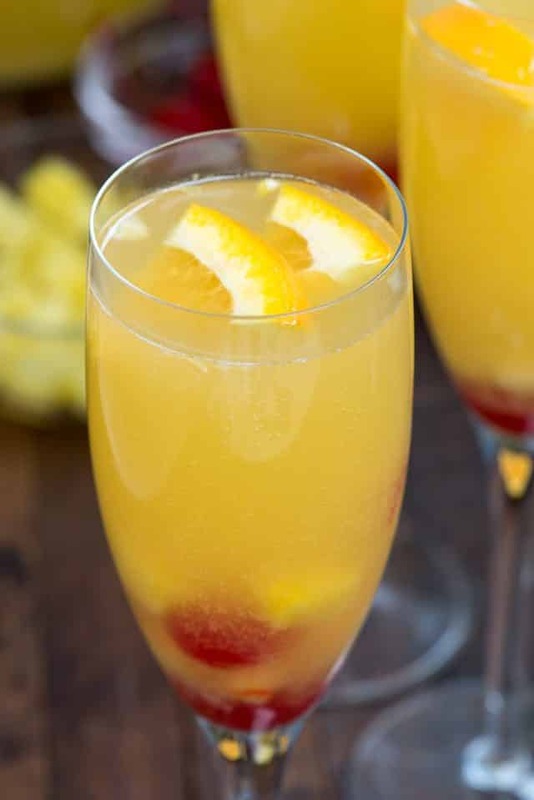 Hawaiian Champagne Punch is the best mimosa recipe! Make it for brunch or for a party – it’s the perfect way to bring Hawaii to you! With just 4 ingredients, this easy cocktail recipe comes together in minutes and will be the hit of the party. April has been a loooooong month. In fact, 2018 has been such a long year already! I am longing for summer and vacation, but we already took our vacation back in February. In hindsight, that probably wasn’t the best idea, lol. Every molecule of me is craving Hawaii: the beach, the sun, the pool, the relaxation. I feel like I want a good book and a mimosa and to forget all the rest. Is anyone with me? Last time we were on Maui, I tried a mimosa that had rum and pineapple juice, like my mimosa recipe, but it also had orange juice. The combination of flavors screams tropical beach, so I knew I was going to make it when I got home. You know what’s better than a Hawaiian mimosa? A punch that serves 8! Making this Hawaiian Champagne Punch is perfect for your next brunch or party, or whenever you’re feeling like you need some tropical beach in your life. I won’t judge you if you make this for one. Sure, you can make this pineapple orange mimosa for one, but making a pitcher is so much better. It’s less to do during a party and it uses the whole bottle of champagne. You can even use coconut rum if you want, or white rum or whatever you like best! This easy mimosa punch recipe has just 4 ingredients: rum, champagne, orange juice, and pineapple juice. It’s great for breakfast or brunch but I’d never say no to one of these on a Friday night. If you’re looking for a Hawaiian mimosa recipe that’s also a party punch, stop looking. You’ve found it! 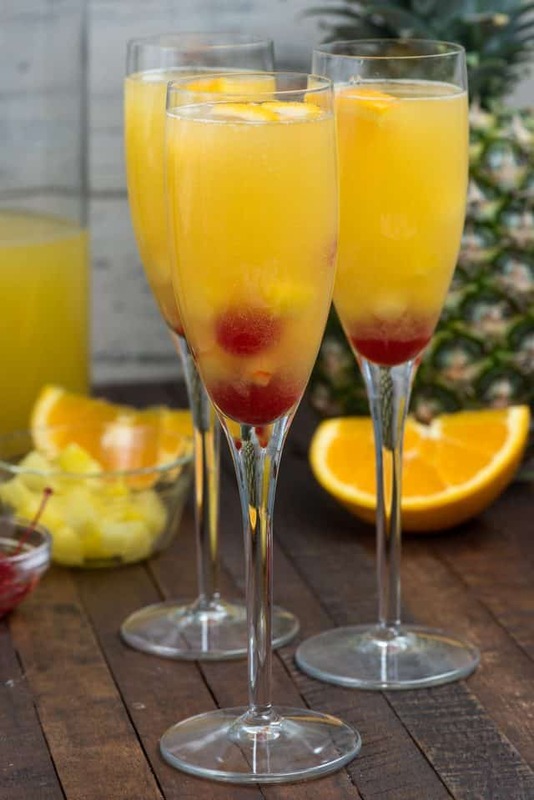 Hawaiian Champagne Punch is a tropical mimosa recipe made with rum and orange and pineapple. It’s the perfect party punch! Feel free to use either champagne or prosecco. I go back and forth between each. Did you know you can buy pineapple juice in the refrigerated juice area? It comes in a carton and is easier to store than the canned kind. Use your favorite orange juice (or use fresh). If you cover this well the bubbles will stay for a day or so, but it’s best to make it right before you serve. Enjoy this little piece of Hawaii – I hope this party punch reminds you of the beach! Hawaiian Champagne Punch is an easy mimosa recipe full of pineapple and orange juice and rum! It's the perfect party punch recipe! Place all ingredients in pitcher. Serve cold, immediately. 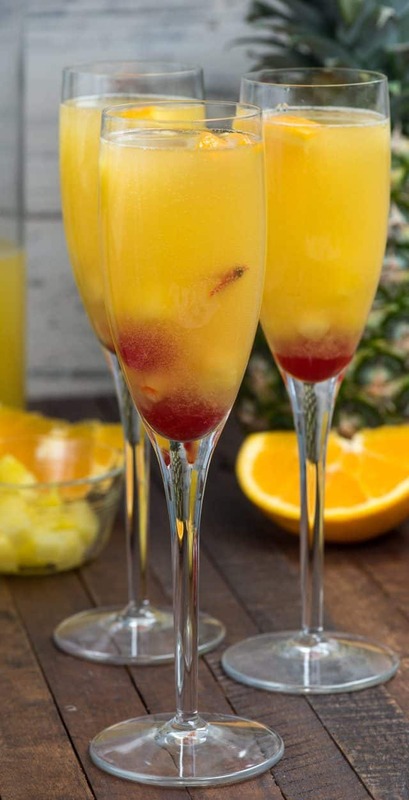 Garnish with cherries, pineapple, and orange slices. Check out all my other champagne cocktails! I’m crushing on this Lemon Lime Champagne Punch, this Grapefruit Champagne Cocktail, and these Pink Champagne Floats! 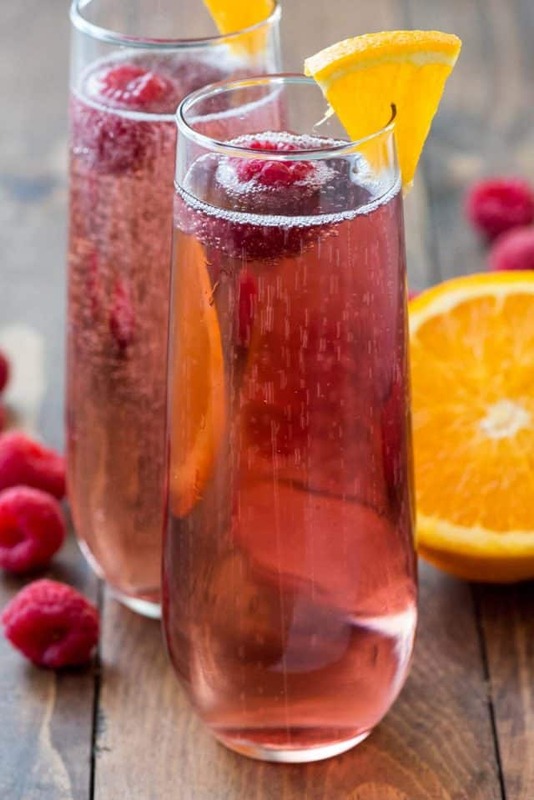 Pink Champagne Cocktail is perfect for Mother’s Day! 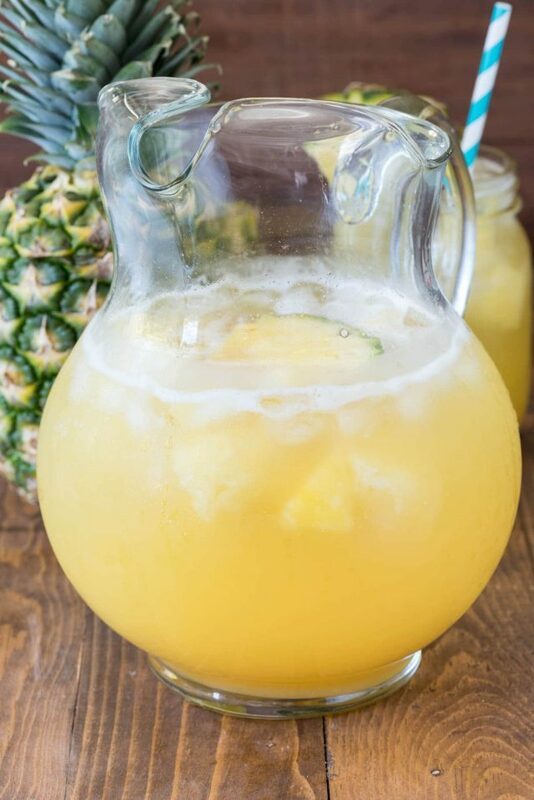 Pineapple Punch is perfect for a party! 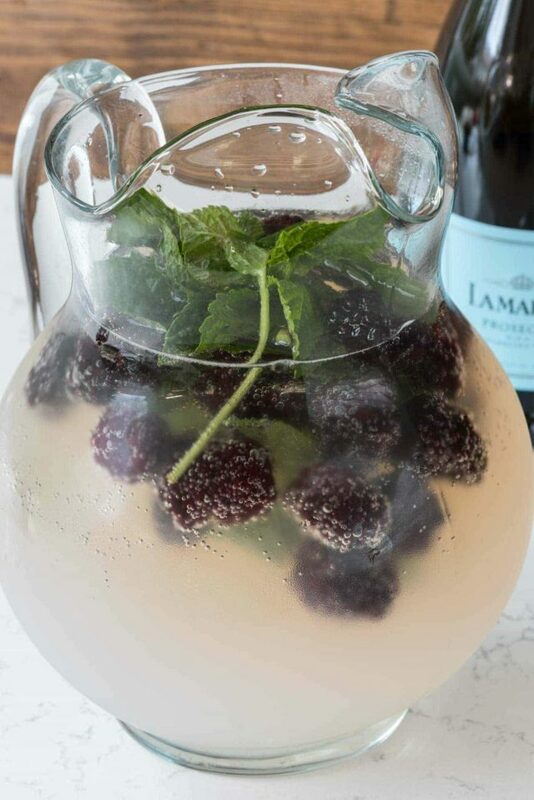 Lemonade Prosecco Punch is great for summer! Looks delicious, but I’m not seeing any recipe directions. I tried a similar cocktail (champagne+orange+pineapple) in Cannes a year back, only the raspberries were replaced by strawberries and pineapple juice by a pineapple liquor (Liqueur d’Ananas). A perfect way to gulp down champagne. Your recipe also looks great, not your average drink but I have not done something like this, hopefully it will look and taste fantastic like the one you made. It’s great that you can use sprite, I am not into alcoholic drinks so this could be perfect for me. This is a miracle, but for once I had all the ingredients to make this punch. My daughter and I made it and absolutely loved It! We’ll be making it again on Mother’s day. Thanks so much. Oh, I guess I should tell you my daughter isn’t a child. She’s pushing forty. This drink is so amazing! I and everyone at my party loved it!!! I’m so glad that I quadrupled the recipe because I ran out!!! Will definitely make this again! !